Motorcycle lane splitting has been a contentious practice in California since the vehicle code 21658.1 became effective Jan. 1, 2017. 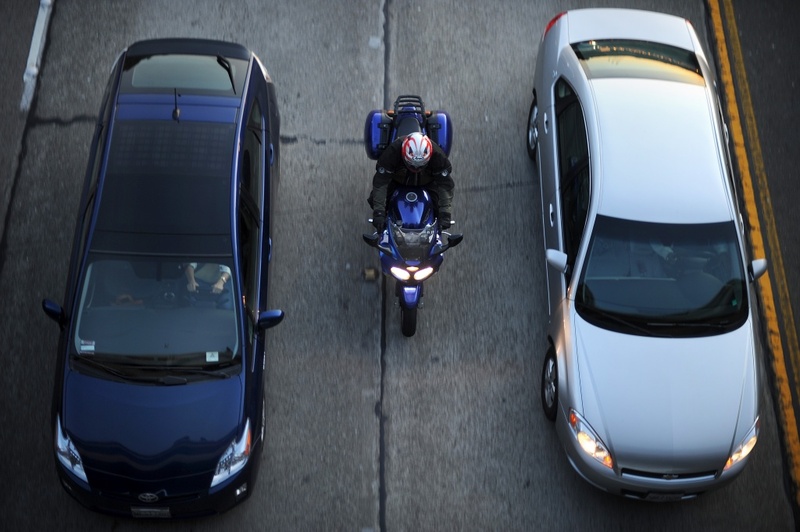 The practice of “driving a motorcycle between rows of stopped or moving vehicles in the same lane including on both divided and undivided streets, roads and highways” is intended to improve the safety of motorcycle riders, although there have been three local lane splitting fatalities in the past year. The California Highway Patrol (CHP), who interprets the lane splitting law as neither authorizing nor prohibiting lane splitting, was empowered to create guidelines to be followed. Motorcyclists who are involved in a serious crash while lane splitting are not automatically at fault because their actions are not illegal per se. However they can be held accountable for their actions if they showed any degree of negligence no matter how small. The insurer or the other driver may try proving the cyclist was at greater fault, especially if the CHP guidelines published in the California Motorcycle Safety Program were not being followed. When motorcyclist’s lane split, they should not travel at a speed greater than 10 mph faster than the other traffic. Motorcyclists should not lane split when traffic is moving at 30mph or faster. It is typically safer to lane split between lanes one and two (the furthest left lanes) than others. 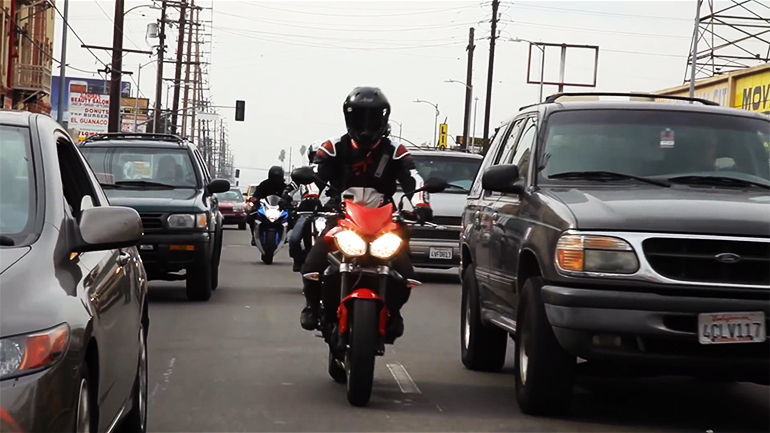 Motorcyclists should consider a number of factors before lane splitting, including the width of the lanes, the roadway, the size of the other vehicles on the road, the weather, and lighting. Motorcyclists should be alert and anticipate other motorists’ maneuvers. Motorists can no longer claim that a motorcyclist is at fault solely based on the fact that the rider was lane splitting. If the motorcyclist was adhering strictly to the safety guidelines, his or her operation could be considered safe, and not negligent. If you were riding your bike between lanes and were injured by the actions of another driver, your case can be helped, if you followed the CHP safety guidelines. However if you were operating outside the same guidelines, the other motorist may have a case for contributable negligence based on carelessness or recklessness. If you were injured in a California lane splitting accident it is imperative that you contact a motorcycle accident attorney. The courts in California can base an award on the percentage of fault by each party to a lawsuit. This can reduce any cash award for your injuries significantly or even negate it completely. This is a risk you can’t take. You need an experienced motorcycle accident attorney to prove your case. You can find that attorney by contacting Vititoe Law Group at 818-991-8900 or contact us online.